Rotherdale Gold Dust, Chestnut Roan filly. Rotherdale Viscountess X Newydd Lloyd. Rotherdale Grace Kelly, a Black filly. Rotherdale Zareena X Brynmelys Enchanter. Rotherdale Greta Garbo, Bay filly. Rotherdale Zenya X Rhosymeirch Reflection. Rotherdale Gatsbt, Black/Dun colt. Rookery Fair Lady X Rhosymeirch Reflection. FOR SALE. 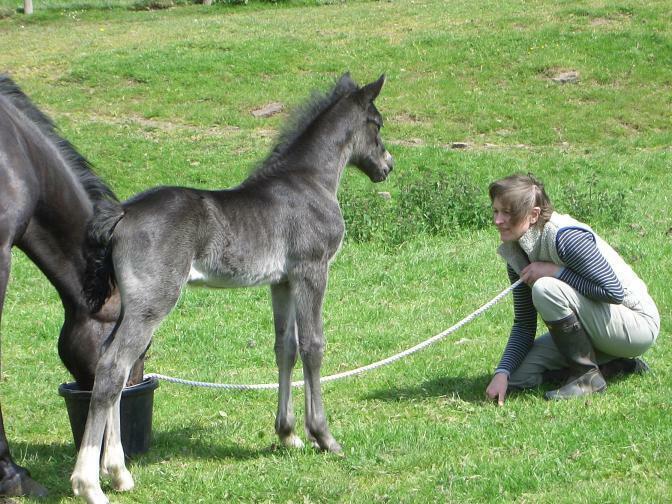 Rotherdale Gem, Grey/Roan Filly. Rotherdale Cariad Bach X Dillymore Marquis. FOR SALE. Rotherdale G.I Joe, Dark Grey. Trefaes Dancing Queen X Dillymore Marquis. FOR SALE. Rotherdale Magic Princess gave us a chestnut roan filly, by Danaway Tango, and our section C mare Rotherdale April Lady had a chestnut colt by Leyeswick The Poacher. Rotherdale Queen was sold at the Builth October Sale, to Mr & Mrs Snelling, UK. Rotherdale Sali was sold at the Builth October Sale 2006 to Sweden. Rotherdale Rhodri was leased to Klaus Lindberg in Denmark for the 2006/2007 stud seasons. 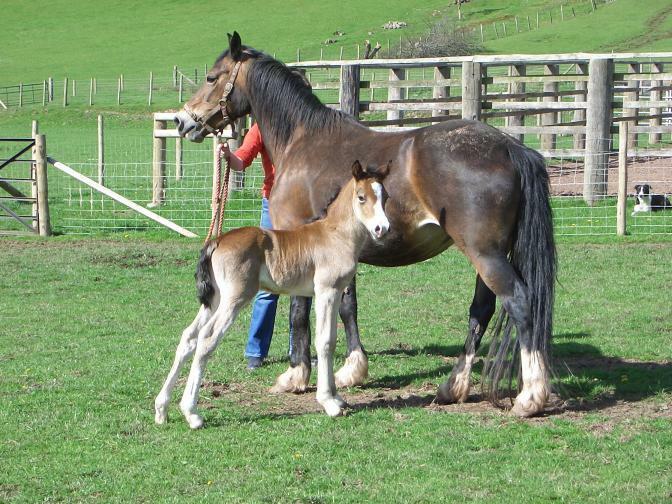 This year we had a beautiful bay colt, Rotherdale Yaris, by Rotherdale Rhodri and out of Rotherdale Queen. We also had a lovely black filly, Rotherdale Yasmin, by Rotherdale Viscount and out of Rotherdale Dulais. Trefaes Dancing Queen, a section A filly foal brought from Fayre Oaks, out of Trefaes Dancing Lady, and by Trefaes Cinnamon. Swnyrelen Seren Goch, a Section D filly foal by our Senior Stallion Gwrthafarn Commander and out of a daughter of Rotherdale Glyndwr (a full brother to R. Dulais). This year we also sold Rotherdale Kara who has been sold to Klaus Lindberg in Denmark where she joins Rotherdale Nerys whom he purchased in 1999. We wish Klaus and his family the best of luck for the future. This year we sadly lost a beautiful black filly out of Rotherdale Magic Princess, after an accident in the field left her with a broken leg. It was then decided to give her a change after such a sad loss, and we instead broke her to ride, and lightly competed with her under saddle in the summer.